Most of my posts are about restaurants, but here is the hidden spot on my blog where I share my home grown adventures. Here is one where there is a homemade version of Steamed Spot Prawns. These were bought at T&T, and works out to 40 for $46. If you don't mind doing the work yourself (or convincing someone to do it for you - thank you @bennettchin) this is the best deal ever! The process is simple, boil water with a steamer basket. Throw the prawns in, and steam for four minutes. What come out is pure heaven. 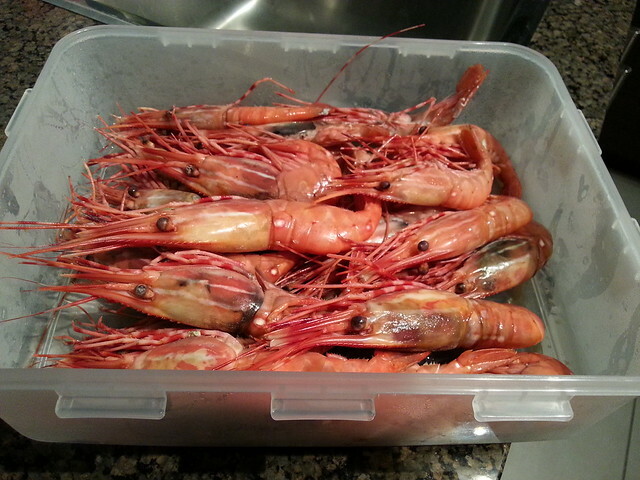 20 Spot Prawns cooked to perfection. Choose your dipping sauce, be is a simply Soy Sauce with some chillies, or a bit of Red Vinegar, or a much more elaborate version of Soy, Sesame, Satay and Chillies with thinly diced Green Onion. Whatever you choose, these prawns will stand up to it. 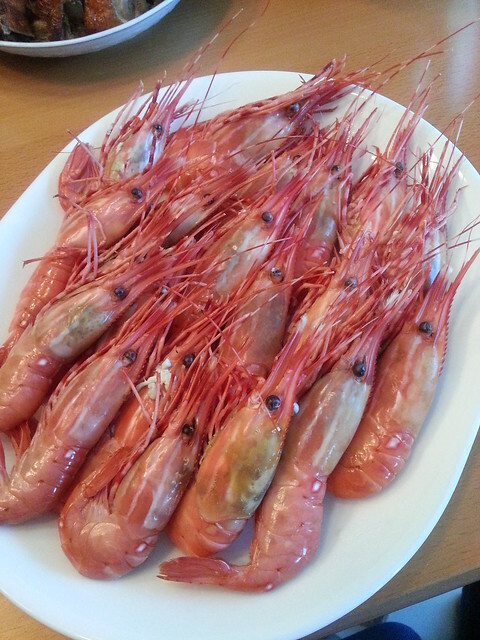 Despite what you might think, man (and woman) cannot live on Spot Prawns alone. So what is a good accompaniment? 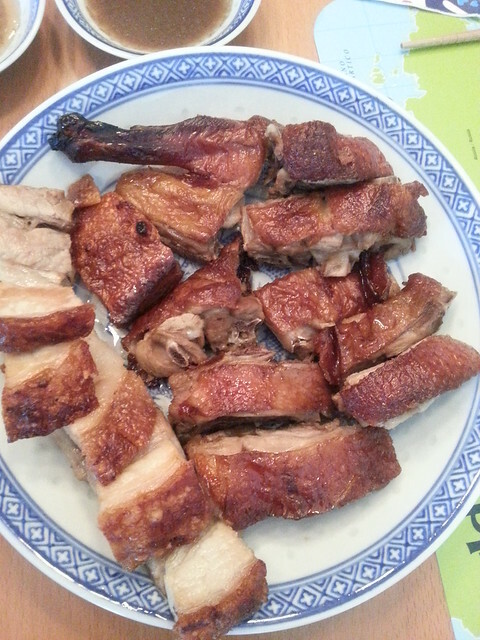 How about some Roasted Pork and BBQ Duck. Um, YES! The salty meats are a great foil to the sweetness of the spot prawns. As I said earlier, there were 40 of these, so we steamed up the rest and here is enough for another full serving. I probably won't reheat this, because I don't want to overcook them. I might take the heads off and oven-bake them but for the bodies, I will likely eat at room temperature. This is when that elaborate sauce would be called for. If you like spot prawns like I do, head to T&T before these babies are gone!